No matter what time of the year you come to Chincoteague Island there is always lots of Chincoteague activities to do! 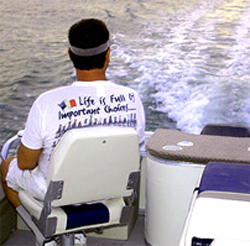 For example, if you like the water you can go kayaking, sailing, parasailing, jet skiing, surfing or hire motor boats. We highly recommend Captain Spider of www.chincoteaguespider.com and his scenic and informative island cruises. 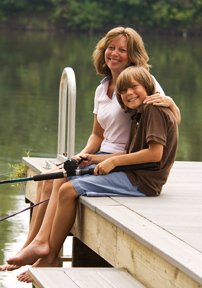 We will assist you booking any scenic or fishing excursions and can help arrange fishing gear and bait for your day out. Chincoteague and Assateague are great for biking. 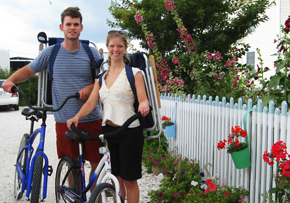 We are pleased to provide bikes for you and everything you need for the beach. There is hiking and sight-seeing, photography and world class bird watching. Assateague has a glorious unspoiled beach and the most wonderful wild life reserve. Near to Miss Molly’s we have diverse shopping and restaurants. You will find plenty of quiet spots to curl up with a your favorite novel. All through the year Chincoteague plays host to festivals and attractions. Our Island is unspoiled and perfect for families, lovers and people that need a little peace and serenity. Learn a little more about Assateague Island on our Virginia Bed and Breakfast Inn site. And remember you are already participating in literary history by staying at the same Chincoteague bed and breakfast where Marguerite Henry wrote ‘Misty of Chincoteague’. 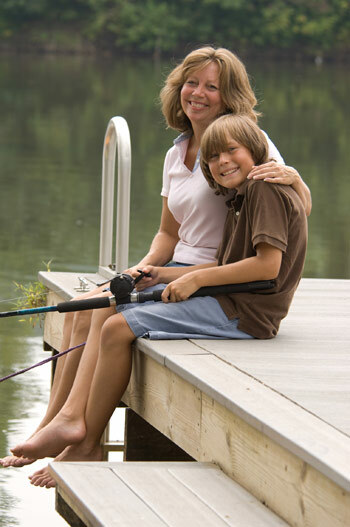 Take advantage of the fishing here, off the dock, on the inland waterways or in deep sea, your choice.